This daily sketching and painting challenge I started at the beginning of the year is one of the best practices I’ve ever done (read more about it here). Yes, it is helping me get better at sketching and watercolor and seeing light, shadows and detail, but it is also giving me LIFE. It is allowing me to just be Emily, to do my thing, to take half an hour each day to quiet down, exhale and let my mind and hands create. As I have been sharing my daily artwork, many of you have mentioned that you would love to do a challenge of your own. This makes me exceedingly happy! For the month of April, I am hosting a daily challenge. I’ll offer prompts for each day and you get to apply them to whatever peaks your creative interest. One thing I love about doing a painting every day is looking around to find daily inspiration. It’s always a mystery to me what I will paint each day and that makes me notice, pay attention and think creatively. Having a prompt will hopefully make this practice a little easier for you as there are some helpful parameters to help you choose your daily subject. The cool part, though, is that we will all work from the same prompt but no two daily sketches/paintings will be the same. For example, on day 23 the prompt is green. I may look outside my window here in the Pacific Northwest and paint an unfurling maple leaf. You might look out your window and see a cactus or maybe you drink green juice each morning or your favorite earrings are green. The options are endless and I can’t wait to see what we come up with each day. You are free to join in every day, once a week, two times in the month – it doesn’t really matter! I just so strongly believe that the little spark inside of us that longs to create is there for a reason. It is one of the many ways we can honor God with our lives, bring beauty and meaning and share our talents with the world. Doing something creative every day is a change of pace from normal life. It gives you an excuse to pick up an old hobby or start a new one. It is a chance to put aside the to-do list and responsibilities and break away from the routine to nurture a different (and important!) part of you. Just for reference (so you know what you’re getting yourself into), my daily sketch + watercolor takes about 30 minutes each day. I typically do it mid-day because that is where it fits in my schedule and share on instagram sometime later in the afternoon/early evening. I keep all of my supplies at the ready to make it very easy to create each day. You can read more about the particulars of my daily sketching + watercolor setup and process here. You are welcome to share your daily creation on instagram to show us what you’re up to, or just do it for you – both are perfectly wonderful. Do this for practice, for accountability, for enjoyment, to get more comfortable using your supplies and definitely don’t worry about perfection. Some paintings you’ll like way more than others and that’s okay. My finished daily paintings are tiny. I prefer to paint small – it uses less paper, less paint, feels less intimidating. I cut down my paper to 5.5 x 4.25 and it seems to be just the right size for me. But you do what works for you. If you need suggestions for what supplies to use, check out this post. If you need help learning how to watercolor, you’ll enjoy my online watercolor class. All the details are here. If watercolor isn’t your thing, you are still welcome to join the daily prompts! Just apply them to the art that makes you come alive. You can post the April graphic to your instagram account to let your people know what you are doing and invite them to join you … then it’s on to day one! Thank you for posting daily art prompts. I so love this. I don’t really paint but I love creating – cards, sewing etc. I hope this continues into May and so on. Just fantastic. Where is your shirt from? So cute! Thank you so much for how much of your techniques and supplies that you have shared so that some of us fledglings can get started. I have been trying to find where you talked about painting the Davenport coffee cup and how you worked around the white, but have not been able to find that. Any chance you have a link or something that I can see once again? Thanks so much. Love your art and what you share with us through your instagram and blog. The product I use is called Masking Fluid. You paint it on the spaces on your paper where you don’t want any paint to get through. Once your painting is complete, you rub off the dried masking fluid and it remains white! It’s a great little tool to have. One thing to note: it will ruin your brushes pretty quickly. I make sure to really rinse the brush I’m using to get all of the fluid out of it. 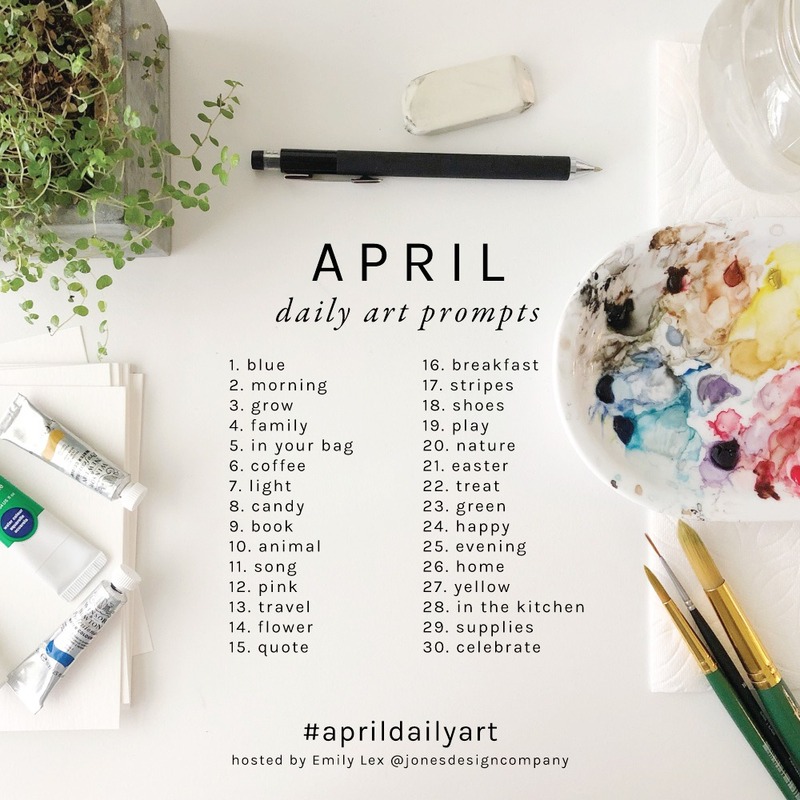 I can’t paint but I do love the idea of an artsy challenge, I think I will try to take a picture each day. I am not a photographer but I think it might be cool. I will try and use some of the things I learned in the photo course I took from you!! Hi, I’m Emily. 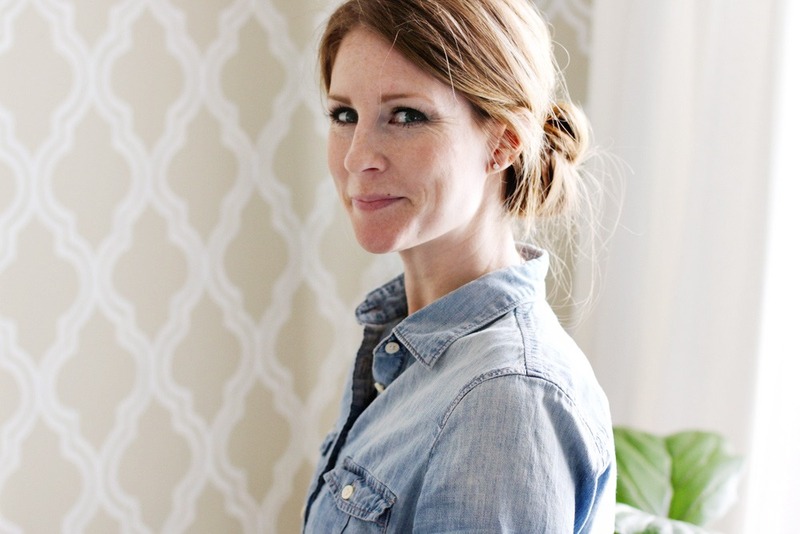 I like painting, decorating the house, finding cute things online, being a mom, growing in my faith and enjoying the everyday.